Meet James Samuel Vincent, an affluent Manhattan attorney who shirks his modest Irish American background but hews to his father’s meandering ways. James muddles through a topsy-turvy relationship with his son, Rufus, which is further complicated when Rufus marries Claudia Christie. Claudia’s mother— Agnes Miller Christie—is a beautiful African American woman who survives a chance encounter on a Georgia road that propels her into a new life in the Bronx. Soon after, her husband, Eddie Christie, is called to duty on an air craft carrier in Vietnam, where Tom Stoppard’s play “Rosencrantz and Guildenstern Are Dead” becomes Eddie’s life anchor, as he grapples with mounting racial tensions on the ship and counts the days until he will see Agnes again. 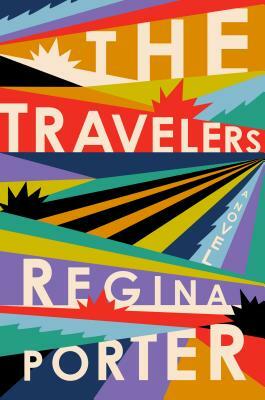 These unforgettable characters’ lives intersect with a cast of lovers and friends—the unapologetic black lesbian who finds her groove in 1970s Berlin; a moving man stranded in Portsmouth, New Hampshire during a Thanksgiving storm; two half-brothers who meet as adults in a crayon factory; and a Coney Island waitress whose Prince Charming is too good to be true. With piercing humor, exacting dialogue, and a beautiful sense of place, Regina Porter’s debut is both an intimate family portrait and a sweeping exploration of what it means to be American today. Regina Porter is a graduate of the Iowa Writers' Workshop, where she was an Iowa Arts Fellow and recipient of a 2017-2018 Rae Armour West Postgraduate Scholarship. She is also a 2017 Tin House Summer Workshop Scholar. Her fiction has been published in The Harvard Review. An award-winning writer with a background in playwriting, Porter has worked with Playwrights Horizons, the Joseph Papp Theater, New York Stage and Film, the Women's Project, Woolly Mammoth Theatre Company, and Horizon Theatre Company. She has been anthologized in Plays from Woolly Mammoth by Broadway Play Services and Heinemann's Scenes for Women by Women. She has also been profiled in Southern Women Playwrights: New Essays in History and Criticism from the University of Alabama Press. Porter was born in Savannah, Georgia, and lives in Brooklyn.